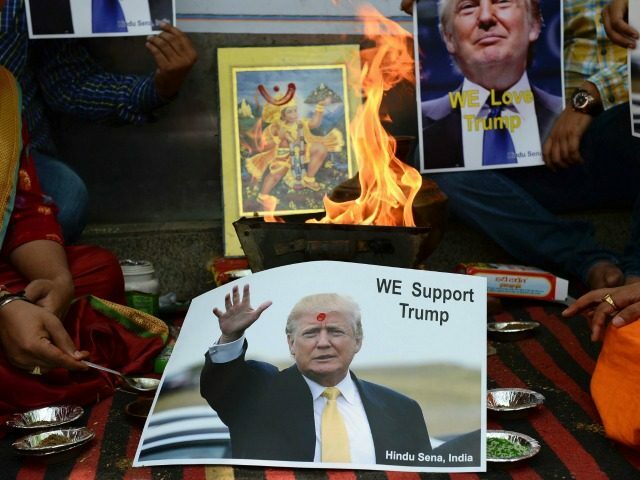 The Republican Hindu Coalition is expected to endorse presumptive Republican nominee Donald Trump on the day before the Indian Prime Minister speaks to Congress next week. The Republican Hindu Coalition’s founding chairman Shalabh “Shalli” Kumar is scheduled to endorse Trump on Tuesday June 7, the day before Indian Prime Minister Narendra Modi will address a joint session of Congress. Kumar, who is a businessman based out of Chicago, said he will personally donate $2 million to Republican candidates this election cycle. The coalition also plans to donate at least $10 million. The Republican Hindu Coalition, founded in 2015, is modeled after the Republican Jewish Coalition and aims to unite Hindu Americans with Republican leaders. The coalition is planning to hold a formal endorsement event this summer in order to bring out a large number of Hindu-American voters to support Trump.